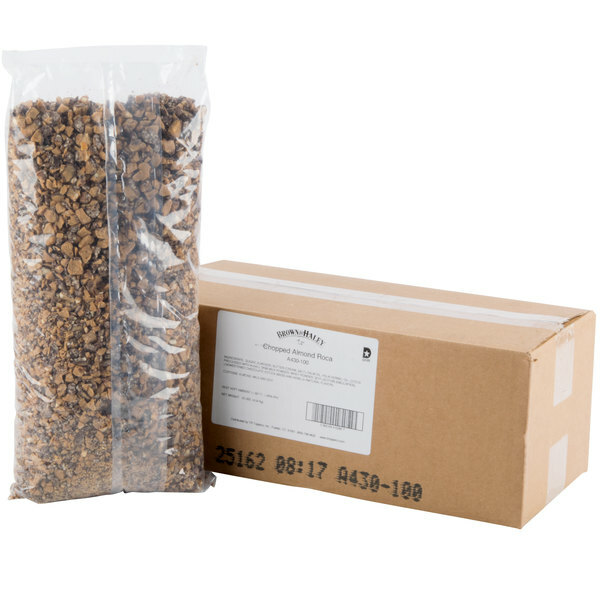 Chopped Brown & Haley Almond Roca Topping - 10 lb. Make all new, mouthwatering menu items with this chopped Brown & Haley Almond Roca topping! The classic Almond Roca candy combines almonds, vanilla, butter, and cocoa beans for one signature taste. 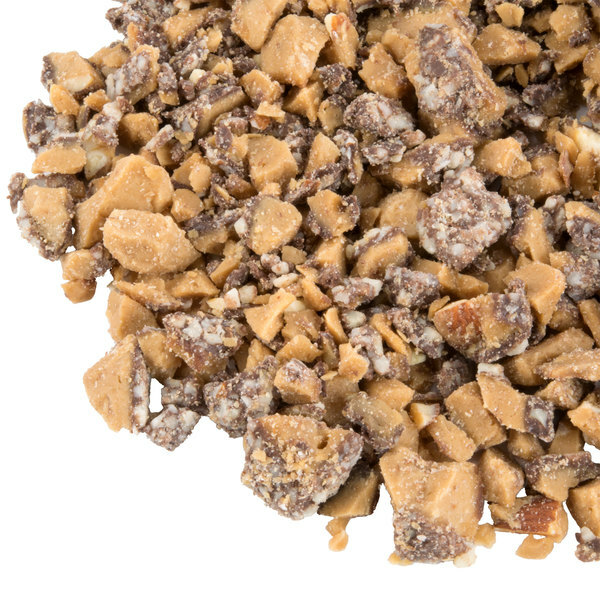 It is similar in flavor to English toffee yet has added chocolate to make it even more irresistible! Since the candy pieces are already chopped, they're easy to sprinkle atop ice cream or blend into a rich and creamy milkshake. Plus, you'll be able to save preparation time chopping up the pieces yourself. Whether you're creating decadent ice cream sundaes or other sweet treats, you'll find plenty of uses for this bulk supply of Almond Roca topping. Blend it into your cookie batter, or use it as a sweet garnish for frosted cupcakes. Include it in your self serve ice cream or frozen yogurt bar, and your customers will love choosing their favorite toppings. 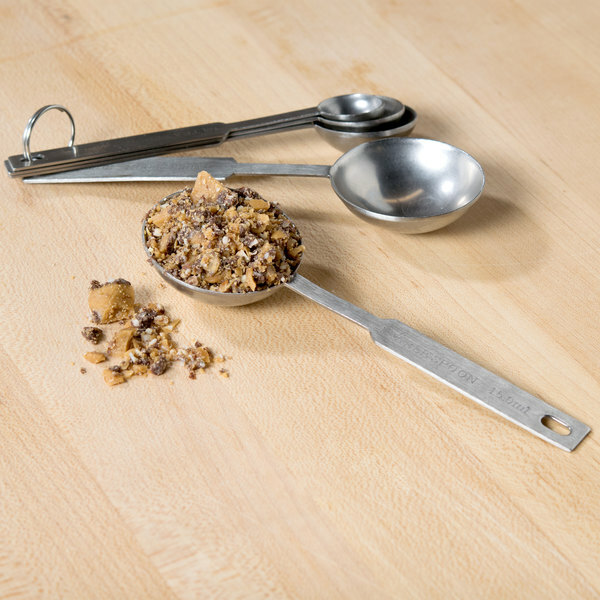 Stock your business with the best-tasting toppings, including this chopped Brown & Haley Almond Roca topping. Overall User Rating: Chopped Brown & Haley Almond Roca Topping - 10 lb. I never see this topping in other ice cream stores, but we have it in all of our stores now because of how well it has sold in the past year. We love this topping! A wonderful tasting topping with the chopped brown and haley almond roca. 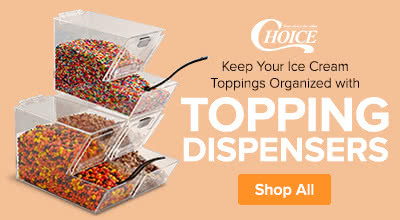 Great for making delicious sundaes and a great item for our topping bar. Another topping that is a must have is this one. I can promise you that you and your customers will love this topping. It is delicious. I love the sweet and buttery tastes of Brown & Haley almond roca. The topping arrived well packaged and was super fresh. It made a very great tasting cookie. A wonderful topping for ice cream or frozen yogurt that everyone will enjoy. 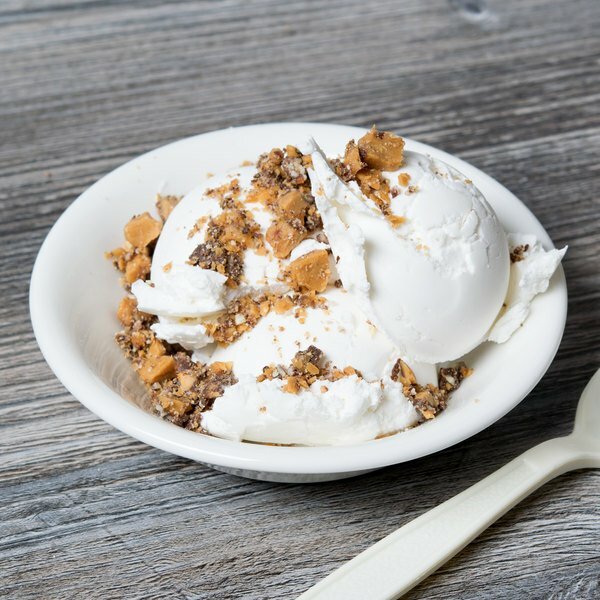 The chopped almond roca is great for topping ice cream around the holidays. A wonderful taste. So happy to find this 5 pound bag of chopped brown and haley almond roca candy. The candy tastes great and is our favorite topping for vanilla ice cream. Who doesn't like almond roca? Sometimes the whole pieces are a pain to chew so buying them pre- crushed would be awesome just to snack on. Almond roca tastes like it should be a gourmet candy. Almonds are not cheap and the toffee flavor is great. You'd be doing yourself a favor adding these pieces to ice cream. Almond roca is a delicious candy. It tastes mainly of toffee but has a nice crunch from the almonds that coat the outside. I love them.